This is the denouement of gospel miracles. The grand finale of John’s seven signs. The stage was set in Bethany for Jesus to teach his disciples, friends, the scribes and Pharisees, a weeping and wailing crowd, and us, about his absolute power over death. The main characters, Mary, Martha, and Thomas, are well fleshed out in scripture. Doting Mary. Fretting Martha. Doubting Thomas. But we go even deeper into their psyches as the pressures revolving around the untimely death of friend bring out raw emotions. Bethany was just two miles from Jerusalem, and many Jews were in town to comfort and console Martha and Mary on the death of their beloved brother Lazarus. In those times, funerals were certainly no private graveside affairs. But it would have all been different if Jesus, also a close friend, would have done something! But for some crazy reason (ah, His glory? ), he hesitated two days in coming back to Bethany, or in some people’s minds, like the centurion, to “just say the word” from afar. Here’s a truism: delays in healing (or anything else stretching for that matter) are calculated for God’s maximum glory. In this case, the two-day delay was to teach the disciples to believe. It is likely that the messenger resumed in the morning, the second day (if on foot). But still, even if he turned right around and high-tailed it, it would have been on the second day that Jesus’ “encouraging words” were relayed to Mary and Martha. Amid preparations for Lazarus’ body and flowing tears, hearing Jesus’ perspective now was like reading yesterday’s newspaper. But this message is key to understanding the setup to the major miracle. How would Mary and Martha react? 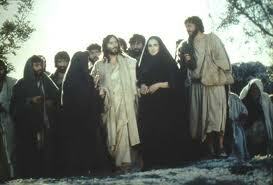 By that time, Jesus had raised the widow’s son at Nain and Jarius’ daughter at Capernaum. Who knows what was in the back of their minds? Could Jesus pull it off again? That’s where the four-day wait caused them to lose all hope. Unlike the widow’s son or Jarius’ daughter, their brother was now embalmed and entombed in a cave. Everyone knew by now he had begun decomposing. This is precisely what the Lord was going for; an absolutely hopeless, “all is lost” scenario in which to work. I see a lot of me in Thomas. Yes the doubting part fits easy, but don’t I always project into the future and see only gloom and doom? His resolution to die with the Lord was commendable, but he practically ignored the Lord’s omnipotence. Jesus does not want us to lose hope–ever. The reason: he’s still in the driver’s seat. The Lord’s seemingly “left field” illustration about day and night (v. 9-10) is also noteworthy. To Jesus, being in the light was an opportunity to do good. It also brought about a sense of urgency, because the light was fleeting. Then there was God’s purpose for us; to live our lives in the light that he shines on our paths, making his will clear to us. As long as Jesus is alive and well, He is still a game-changer, especially in a matter of life and death. Is he then, alive and well right now in your times of trouble? You gotta believe! For background, a reasonably faithful rendering of this story from Jesus of Nazareth, in my opinion, one of the greatest movies about Jesus ever made. This entry was posted in Commentary, Devotionals, Principles, The Basics and tagged Bethany, Jesus, Jews, John:11:1-16, Lazarus, Martha, Mary, Thomas. Bookmark the permalink. What I really love about this raising, is that it also teaches me that ANY dead issue can be raised to life again through Jesus Christ. Marriages, lost parents, or anything else that can possible “arise” throughout out lives. While we may have to wait and fall into a pit of doom and gloom, but because His glory is the main name on the ticket, His glory WILL happen with faith and prayer. That’s so true. Don’t do a seminary paper on this story. You’ll never finish!